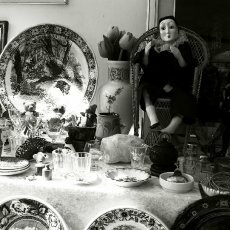 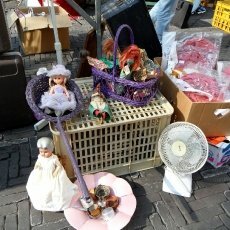 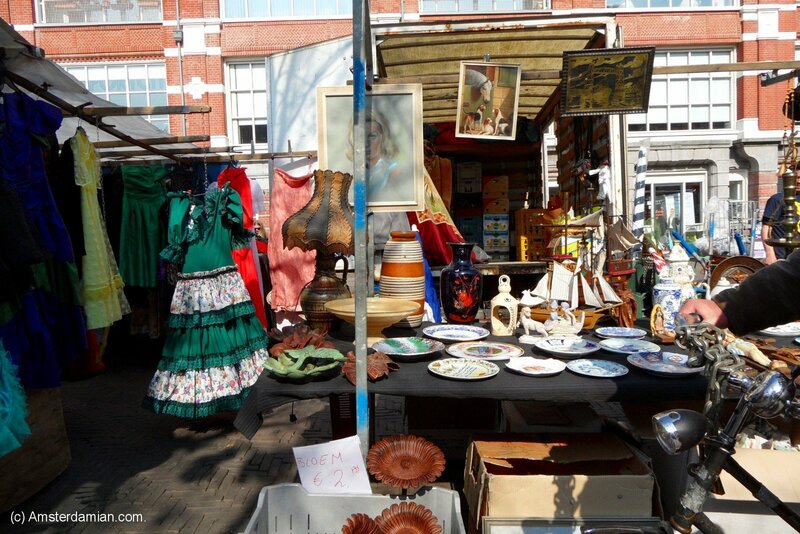 Situated in Waterlooplein, along Zwanenburgwal, this flea market is a picturesque place where I like to go and look for some old Amsterdam postcards or photos and the odd Dutch antique. 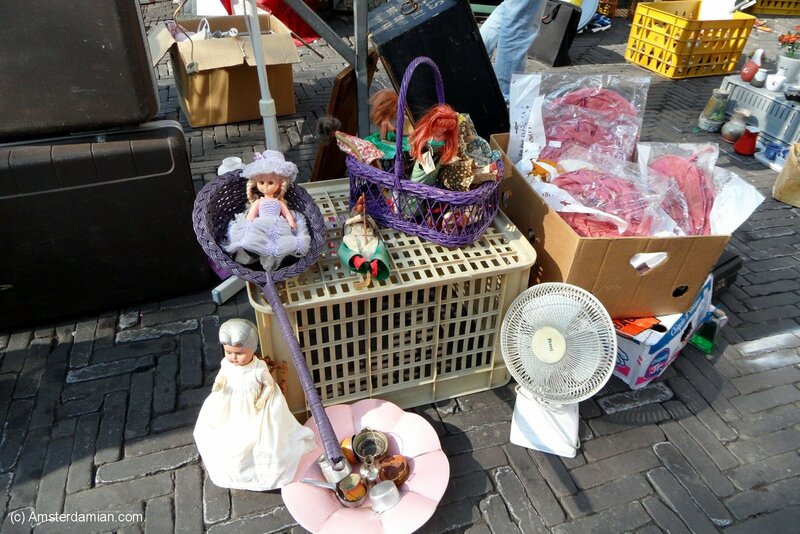 It is the biggest flea market of the city, an open air bazaar where you can find all kinds of stuff, some of them interesting antiques while others — basically garbage. 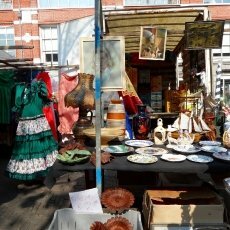 There are about three hundred stalls with second-hand clothes, printed t-shirts, vintage jewelry, books, CDs, ornaments, furniture, curiosa and many, many other things. 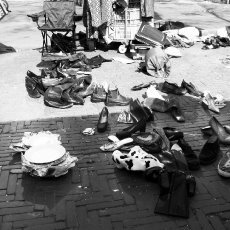 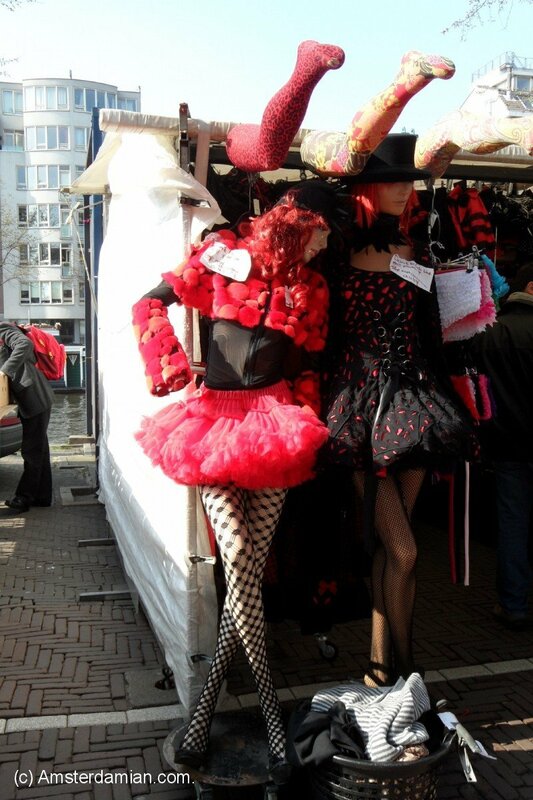 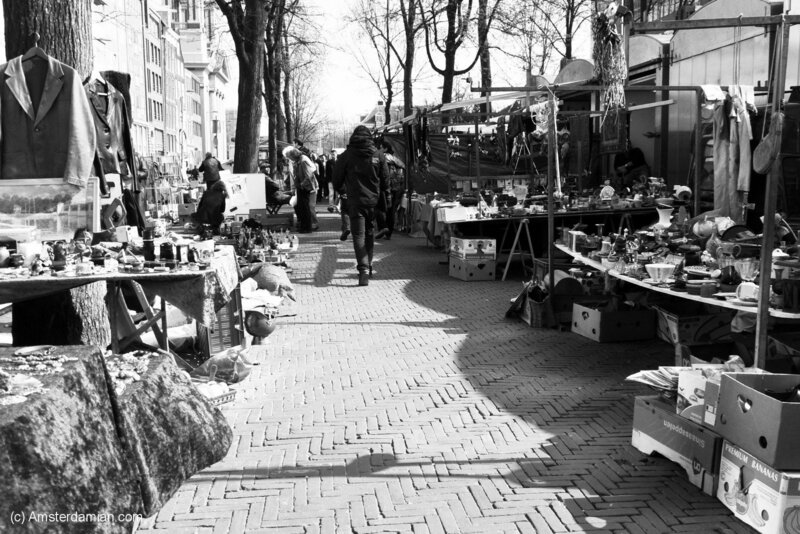 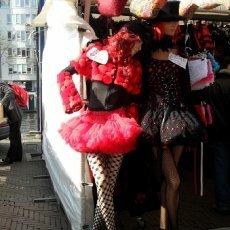 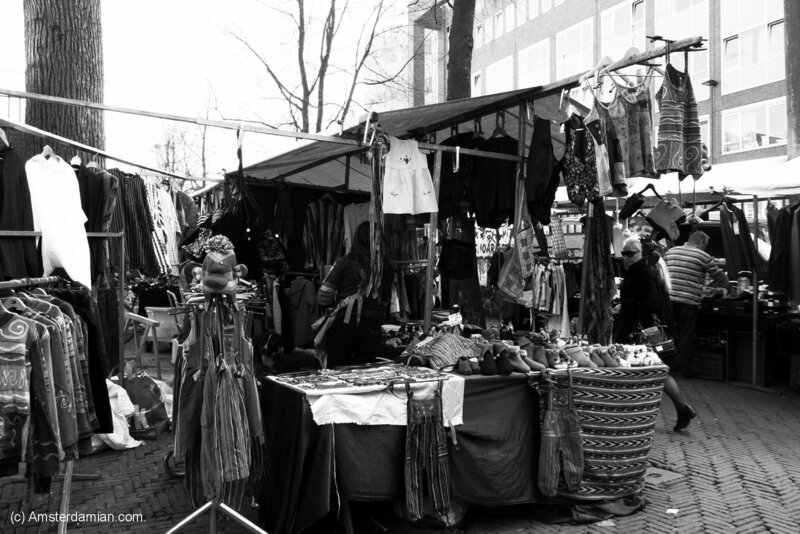 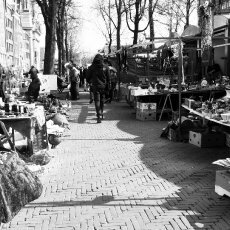 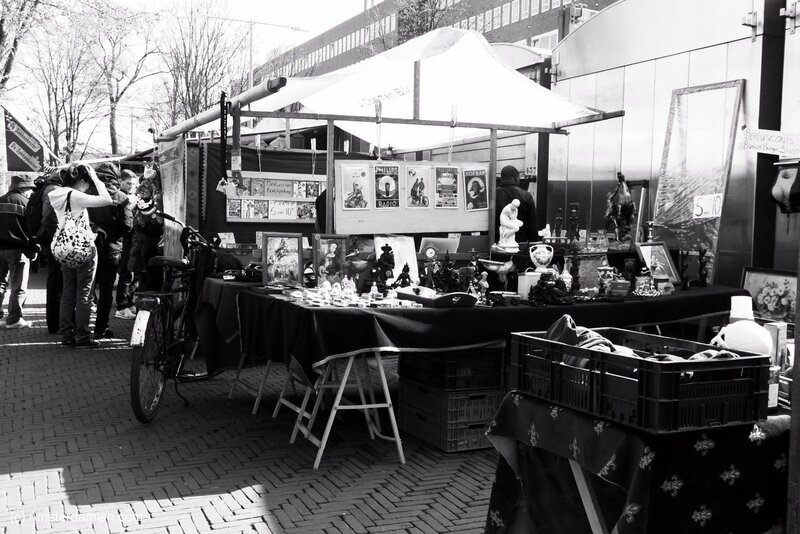 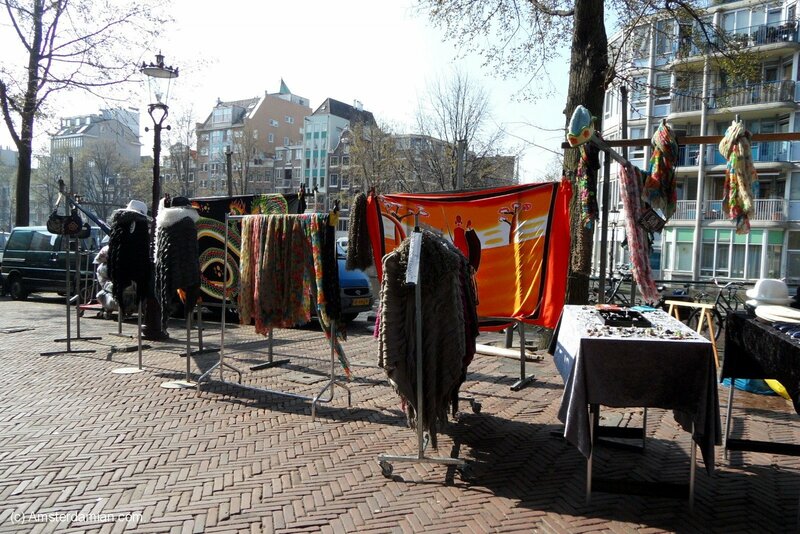 The market is situated near Rembrandt House Museum and when in the area it’s worth spending some time there even if not an enthusiast of flea markets. 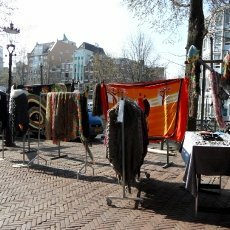 There is a high chance of leaving without buying anything, but one may also find a really special gem, depending on luck. 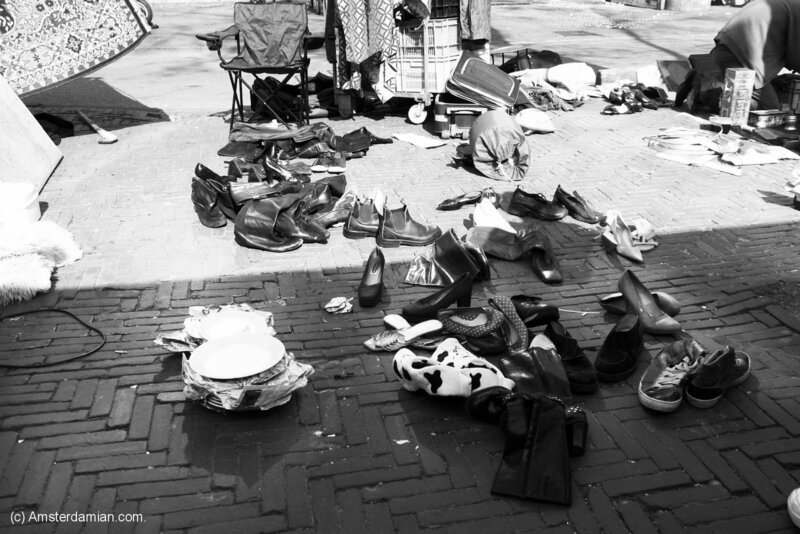 It is important not to get scared at first sight, like I was on my first visit, after seeing the piles of clothes and shoes thrown on the sidewalk. 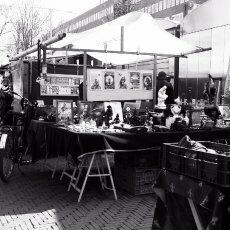 I was about to leave as quickly as possible, and if it wasn’t for the old photos stall which just happened to appear in my way, I would have left in a second… Afterwards I opened my eyes and discovered the rest of the market, and it was a great choice. 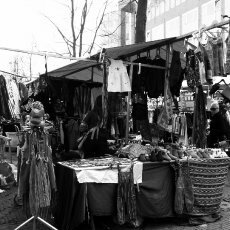 The place is usually crowded — it’s better to visit in the morning, when all the vendors are still around (they tend to pack up and leave quite early). 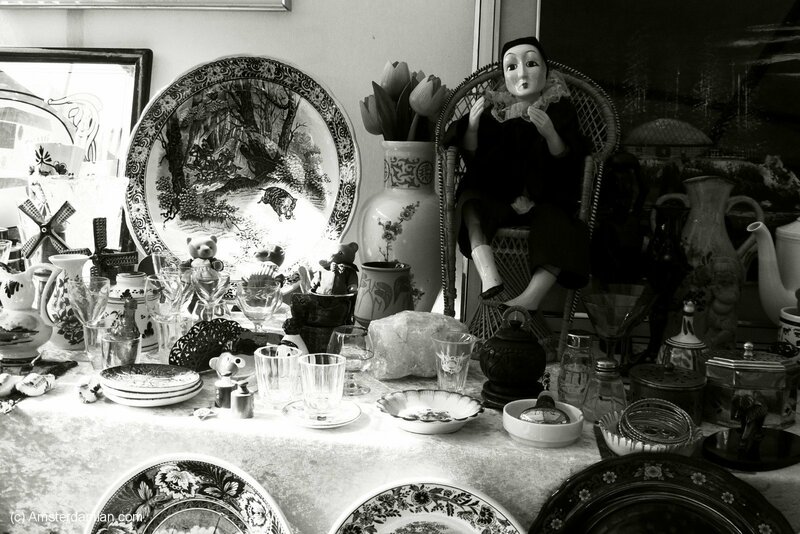 Have a lot of patience and don’t forget to take a closer look at that old Dutch porcelain and tiles.